There are many possible reasons why you could be drug tested at some point in your life and if you have an illegal substance in your blood, it could be a bad thing for your career or life in general. Drug testing can be requested by potential employers, current employers or through the justice system. They are conducted to check, for whatever reason, if you have any drugs in your system. If you are applying for a new job, depending on what you are doing, you may be asked to take part in drug testing. Many jobs that involve use of machinery or passenger vehicles and some construction jobs ask for these tests to ensure that their employees will be operating in a safe manner with a clear head and no influence of illegal substances. If you refuse the test or fail it, you will likely be disqualified from the job competition. Some companies may require random testing to be done throughout your employment to ensure you are abiding by the company rules. You will be told about this before you are hired but there may or may not be any notice given for when the test actually takes place. Again, if you refuse or fail the test, you may lose your job. Another scenario that could involve this type of testing would be if you are arrested or suspected of a crime and find yourself in a legal battle. 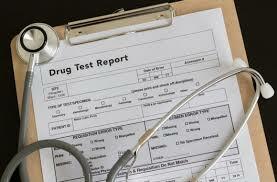 Drug testing could be requested especially if you are involved in a serious car accident. Your lawyer will explain the pros and cons of participating. Drug testing is not a new thing but in recent years, the way it’s done has changed drastically and there are new developments in the technology all the time. The testing is usually done in a clinic or hospital setting or, in the case of your work, a nurse or other qualified person may be set up on-site to do the testing. The person requesting the test could be looking for any kind of drug or combination of drugs such as opiates, marijuana or cocaine or amphetamines. Some drugs are only detected some certain tests so more than one type of test may be needed to get the necessary information. There are several main types of drug tests including saliva, blood, urine and hair. Blood testing is the most accurate and involves taking blood with a needle. 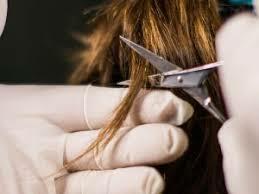 Hair testing is controversial because some drugs stay in the hair for months and months afterward even if the individual did not do the drug in that time. Urine testing is the most commonly used and simply involves collecting a sample of urine to analyze. Saliva testing is becoming more common and involves taking a swab from the inside of the mouth. There are many reasons you’d want to get yourself a home drug testing kit. For instance, if you suspect your teenage son or daughter of using drugs, then you’ll find it necessary to use an at-home drug test kit as opposed to dragging your child to a laboratory for testing. You might also be faced with an upcoming drug testing exercise at your workplace that could jeopardize your employment. To avoid getting caught by surprise, most people opt for at home.testing kits. One of the most difficult things to do is to confront your child when you suspect them of drug abuse. A lot is at stake and without the right approach, you could end up losing your child’s respect and trust. A laboratory drug test can shed some light into the matter but that would mean invading your child’s privacy and exposing their dirty linen to complete strangers – not many people can stand to see their child go through this torture. This is why a home drug testing kit is important. With a home testing kit, you get to perform the test yourself, saving your child the embarrassment associated with lab tests. 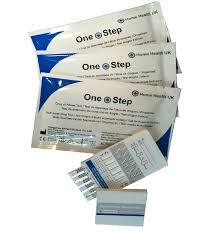 The home testing kits are able to detect different traces of drugs in your child system in few simple steps. If you are not sure what your child has been using, then a universal kit can help detect multiple traces of drugs in the child’s system. You can opt for either urine test kits or saliva test kits as they are the easiest to use in a home setting. Administering home drug testing can have both positive and negative impact based on how you approach the situation. To some lucky parents, home drug testing will actually keep the child from falling into peer pressure, knowing how easy it is for them to get exposed. Those who are not so lucky end up destroying the bond they have with their teenage child. Most companies will perform regular, sometimes completely random drug tests to their employees or job applicants. To the company, performing such tests means more profit as employees are likely to perform at their best when drugs are not in the equation. However, to the employee that has recently indulge in some form of illegal drug use, it could mean loss of employment or even worse, criminal charges. Using a home drug testing kit will help you understand what to expect and perhaps help you get prepared. When searching for home testing kits, consider factors such as type of drugs you need to test, ease of use and accuracy. Be sure to buy all your testing kits from a reputed manufacturer and read the instruction carefully before using the kit. You can buy testing kits at your local department store as well as the internet. Be sure to learn as much as you can on the products you buy and the manufacturer that makes them. We take our heritage from the wonderful and original city of Oliver Springs seriously, and we wear the name of our distribution center with a great deal of honor since it is from there that we have “sprung.” We are very excited to bring you a wonderful shopping and savings experience here at our brand new website, which we are diligently working on quickly so that we can unveil the “store” for you! It takes quite a bit to open a store (just take a look at the video we’ve included on this site to give you a glimpse of how to open a retail store). What might you expect to see in our quaint but high-tech virtual store? Well, we hope to stock our “shelves” with all sorts of tremendous deals such as savings coupons for brands you use and love, discounts on items you use every day (or even just once in a while), and online services as well! We just know you’re going to enjoy the store, and hope you’ll check back real soon!